Nashville, Tenn. (March 23, 2017) — Legendary country music group Restless Heart has announced the first leg of tour dates for its 2017 North American tour. Entering their 34th year on the tour trail, the men of Restless Heart will again travel the country coast-to-coast with scheduled tour dates in Oregon, Texas, Ohio, Florida, Tennessee, Georgia, Minnesota, Wisconsin, and more. "My favorite part about touring each year is seeing the familiar faces of our incredible fans in every crowd," says Restless Heart keyboardist/vocalist Dave Innis. "After all these years, it's more like family, especially since so many are raising a new generation of Restless Heart fans to keep us 'rollin' down the highway!'" "It's a great feeling going into each touring season knowing that we get to once again hit the stage every night with the original five guys still on top of our game," adds Restless Heart lead singer Larry Stewart. "Time to get the show on the road!" Larry Stewart, John Dittrich, Greg Jennings, Paul Gregg and Dave Innis, the men who make up Restless Heart, have enjoyed one of the most successful group careers in country music history. The band has placed over 25 singles on the charts with six consecutive #1 hits, four of their albums have been certified Gold by the RIAA and they have won a wide range of awards from many organizations including the Academy of Country Music's "Top Vocal Group." 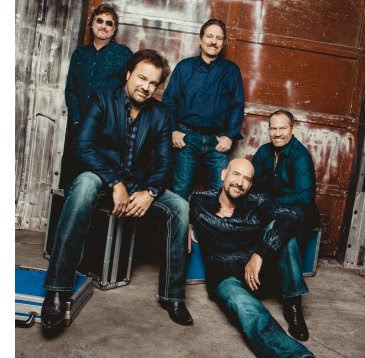 For additional information on Restless Heart visit www.restlessheartband.com.